This book is intended for readers over 18. Sexual content, language and violence. This book is the first in a three book series. Each book can be read as a standalone but to get full background on all characters you will want to read them all. Ashlynn Ellis’ life was finally coming together. After a troubled childhood she had control of her life just the way she wanted. She had her inner circle of trust consisting of McKoy and Grace who were her lifelong girlfriends which allowed her to keep the boundaries set. But an end-of-life journey for her estranged mother shakes Ashlynn’s distrusting self to the core, which unknowingly leads her to cross paths with her soulmate, Cooper Brooks. Ashlynn has never had a trusting man in her life nor did she want one. She has seen domestic abuse on the front line and can not let these memories go. Cooper Brooks is a police officer and has seen domestic violence at its worse. As a child with a hard upbringing, he commits himself to his career. He does not have time in his life for a woman and he doesn’t care to look for one; that is until he meets Ashlynn Ellis. Will Ashlynn trust Cooper and let her guard down for this man that worships her? Can Cooper convince her to trust him and embrace the love he wants to give her? Will Ashlynn lose her internal battle and let Cooper in? When someone from her past comes back to destroy her can she protect Cooper, the love of her life, before it’s too late to protect herself? This a passionate love story between two people who were brought together by fate as soul mates made for each other. 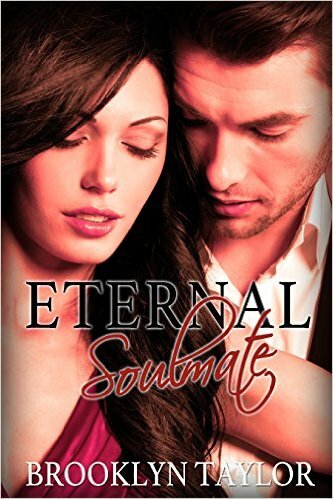 Is their destiny really meant to spend the rest of their lives together?